Flowcrete UK launched its new range of polished concrete systems to the nation’s construction industry recently, displaying it at both London Build and Scotland Build. At the two shows Flowcrete UK gave attendees a sneak peek into its new polished concrete and coloured screeds range as well as showcasing its recently unveiled Comfort Resins collection. At both shows Flowcrete UK’s expert team showcased its new polished concrete range and even delivered a presentation on polished concrete during London Build to inform attendees about the possibilities and practicalities of this type of flooring material as well as what they can expect from Flowcrete UK’s new line of polished concrete systems. At 12pm on day two of London Build, Alan Dean, Flowcrete UK’s Sales Director, hosted a 50-minute CPD workshop entitled ‘The World of Polished Concrete’. The CPD provided an overview of concrete technology, outlined the benefits of this flooring material and how it compares to other floor finishes as well as explained the proper specification and application processes of polished concrete. 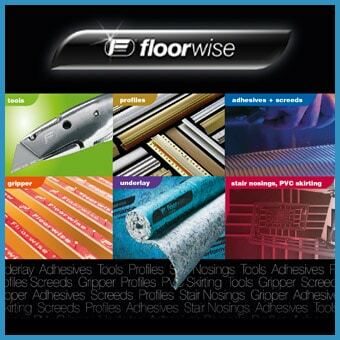 Flowcrete unveiled its recently launched Comfort Resins range at both shows. This range has been developed to provide the designers of commercial and public facilities with floor finishes that combine design with comfort and care. The Comfort Resins collection consists of four self-smoothing and flexible polyurethane coatings (Peran Comfort, Peran CHD, Flowshield Comfort and Flowshield CHD) that are ideal for creating durable, seamless and easy to clean surfaces. The durability of the range’s polyurethane formulation means that every system is able to withstand intensive foot traffic and rigorous cleaning as well as the daily scuffs, stains and scratches that floors in busy environments are exposed to. This is a particular issue within the public and commercial sectors, as it is imperative in facilities such as hospitals, schools and shopping centres that the floor retains a hygienic, visually appealing surface despite a variety of challenging operating conditions. Resistance to UV light has been built into the Comfort Resins collection and the low Volatile Organic Compound (VOC) content in each floor makes them a sustainable choice.